What's the buzz about On Demand? What’s the buzz about On Demand? You may have heard a little bit about our new On Demand courses. Now that ruzuku’s On Demand feature has gone live, we want to tell you a little bit more about it and all the benefits On Demand can provide. Our old model, which only allowed for Scheduled courses, meant a course had a fixed start and end date. Participants who missed registration were therefore left out and had to wait for the course to be offered again to sign up. Scheduled courses are a great option, particularly if you are looking for your students to go through the experience of your material together as a group. 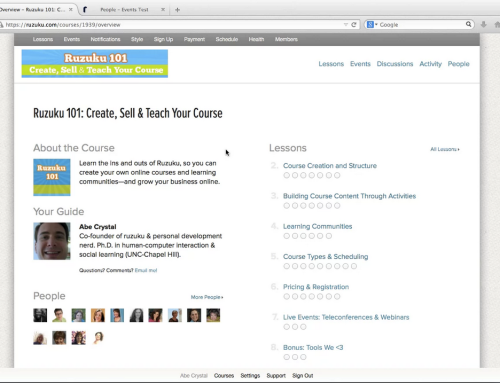 While we still provide the Scheduled courses option, ruzuku now allows for the added flexibility of On Demand courses as well. 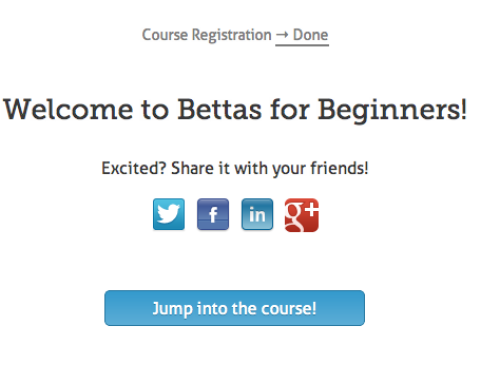 As a Guide, you choose a date to publish your course, and participants can sign up any time after that date. This allows people to register for your course at any time as long as registration is open — no one gets left out, and Steps and Activities will be paced as normal. To set your course as On Demand, simply go to the Schedule & Price page under Manage Course, select the ‘On Demand’ scheduling option, and choose what date you’d like your course to become available. Several of our Guides are already taking advantage of the On Demand feature. Marlene Hielema, our resident Image Maven, is hosting a course on the core fundamentals of basic photography — while it lasts for four weeks and four days, you can sign up and begin at any time without missing a beat. Whether Scheduled or On Demand courses are your style is up for you to decide. We hope both options better facilitate the online learning experience for your participants.